Since the inception of the OSCAAR Pro Sprints, the Stanley name has been running up front among the competitive drivers. Don’t expect that to change in 2019, as James Stanley confirmed at the Motorama Custom Car and Motorsports Expo the team will be fielding three cars for the 2019 season. 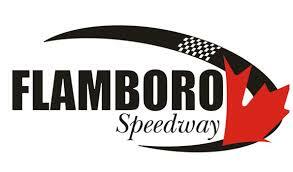 Of the races across the Pro Sprint schedule, Stanley is quick to admit that he has circled the late addition of Sauble Speedway on August 31. Last year, Stanley ran up front on a weekly basis, scoring 10 top-five finishes including a heat race win. He feels with the work put in during the winter, he can be the next driver to reach feature victory lane. That said, Stanley knows it won’t be easy as the competition will be tough as several drivers have confirmed they’re returning. For Stanley, he got his start in racing through Brad Holmes and the Woodland brothers. “His dad raced Hurricane Midgets,” Stanley recalled. “When Brad was old enough, his dad got him one and Brad raced it for a couple years. The Woodland brothers put me in a car in 2012 near the end of the season, and then I went out and bought a car over the off-season in 2012 for 2013. While there have been several memorable moments through the years, Stanley admits that his first career victory at Sauble Speedway stands above the rest.